This species is seen annually on Maui but usually in low numbers. 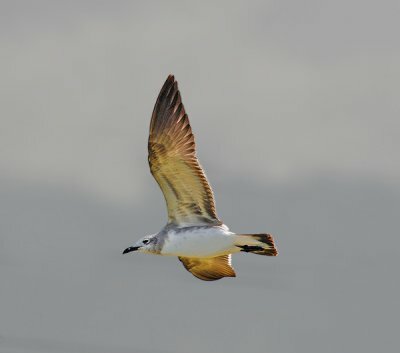 The absence of gulls in Hawai'i is surprising to many people but gulls are essentially continental species They lack the salt glands used by marine birds to desalinate seawater, and thus require a supply of freshwater. Some gulls occasionally reach Hawai'i but most are immature birds that have been blown in by a storm. (Source: "Hawaii's Birds, Hawaii Audubon Society, Island Heritage Publications, Honolulu, Hawai'i, 2005.